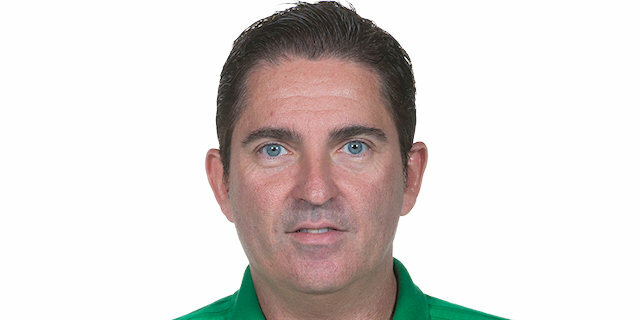 Coach Xavi Pascual and Panathinaikos Superfoods Athens registered their second consecutive win together, a comfortable 70-59 win over visiting Crvena Zvezda mts Belgrade in the Greek capital on Friday night. 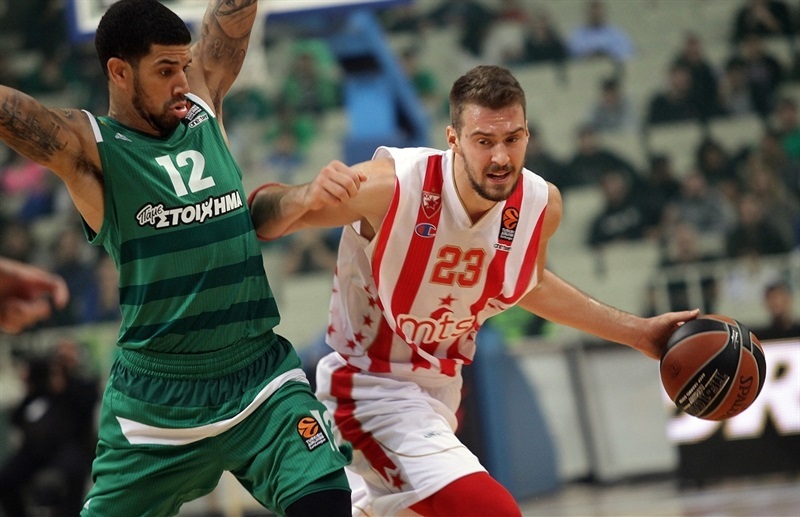 The victory improved Panathinaikos’s record to 3-1, while Zvezda dropped to 2-2. 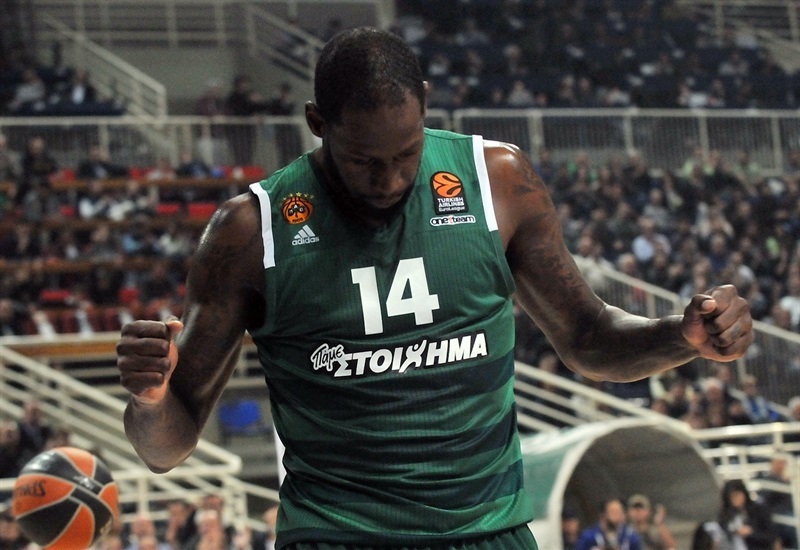 Other than the visitors’ opening lead, Panathinaikos controlled things for 40 minutes. The hosts used defense to open a double-digit margin in the first quarter and increased it to 23 points early in the second. 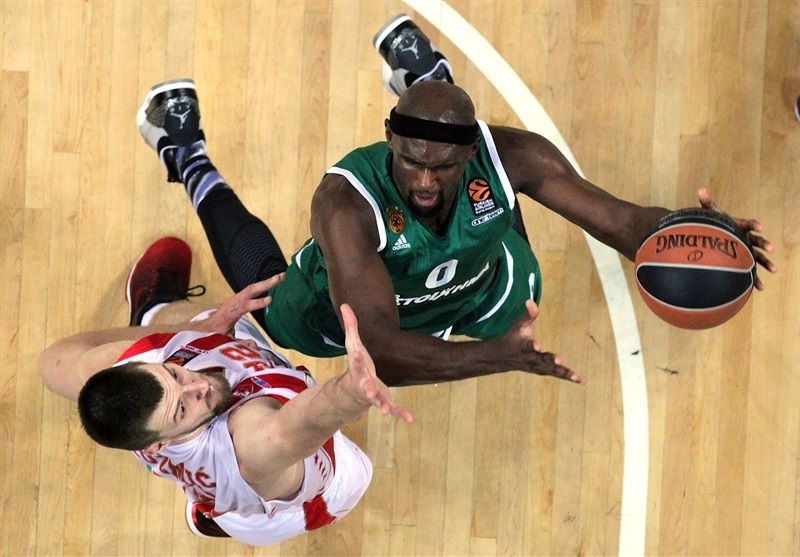 Behind Nick Calathes and James Gist, Panathinaikos had a 46-25 cushion at halftime and Zvezda never threatened. 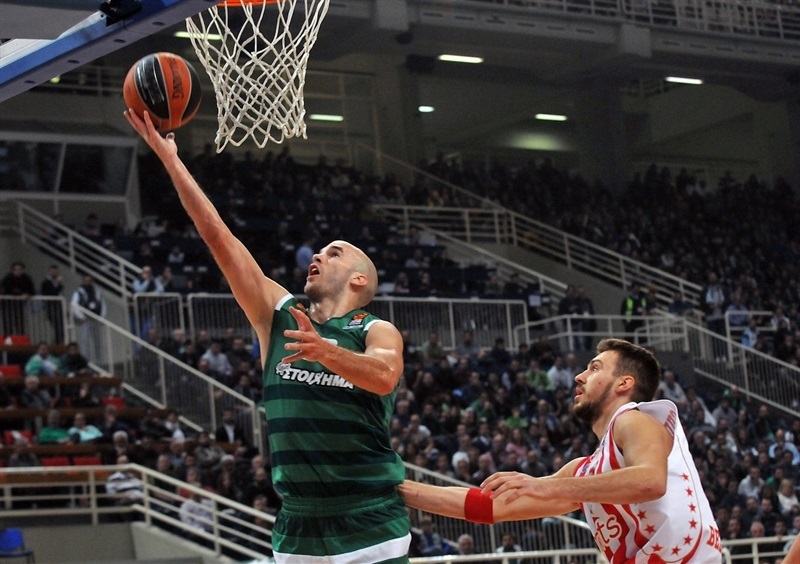 Calathes finished with 16 points, 6 rebounds and 5 assists, while Gist netted 17 in victory. K.C. 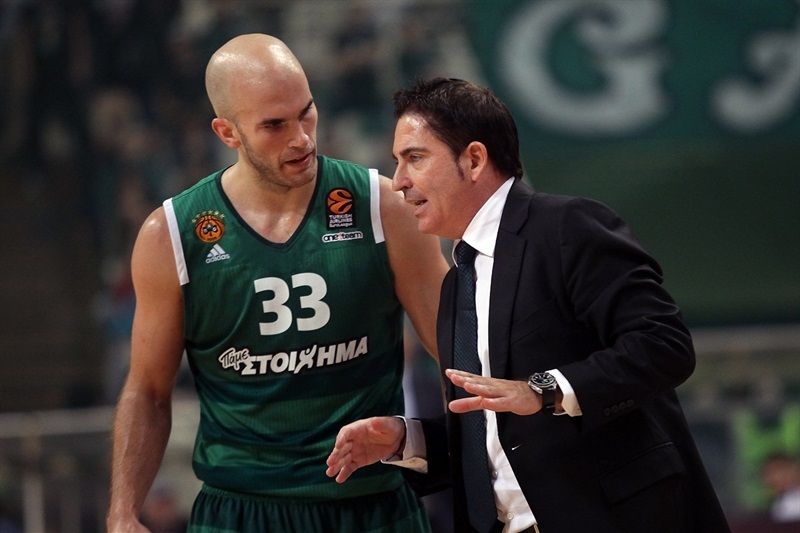 Rivers and Ioannis Bourousis contributed with 12 points apiece for Panathinaikos. Ognjen Kuzmic stared with 15 points and a career-high 15 rebounds for the visitors, and Milko Bjelica scored late to finish with 12. Nate Wolters made his EuroLeague debut, scoring 8 points with 3 assists in defeat. 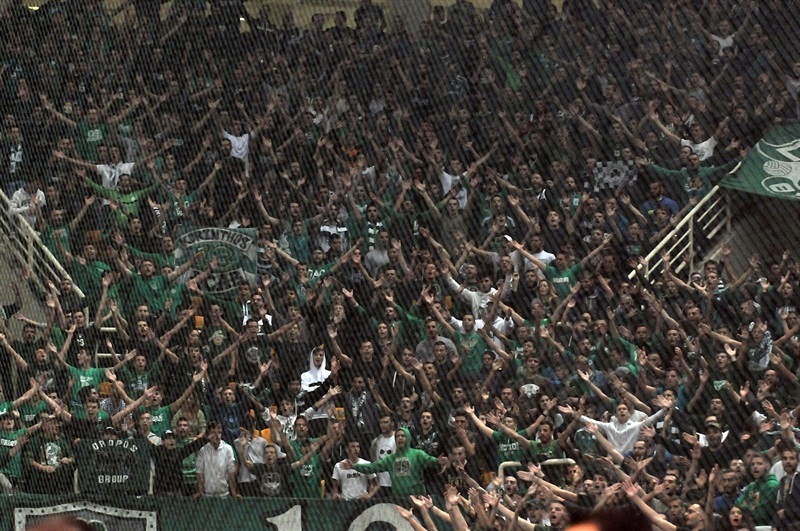 Panathinaikos took control from the start. Gist helped matters by scoring 7 points, including a three-point play. James Feldeine hit a pair of jumpers and Calathes nailed a three-pointer as the hosts led 23-14 after 10 minutes. 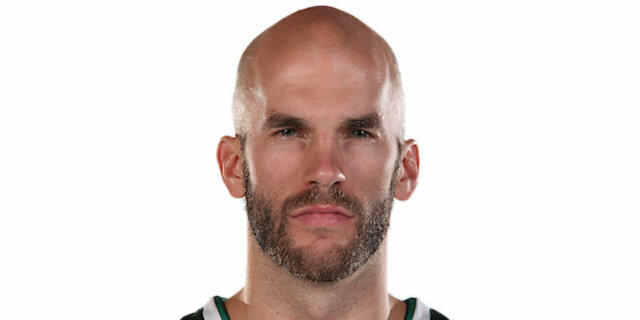 The Greens opened the game by making 12 of their first 13 two-point shots, including Rivers, Bourousis and Calathes, who each scored in the first 90 seconds of the second quarter. 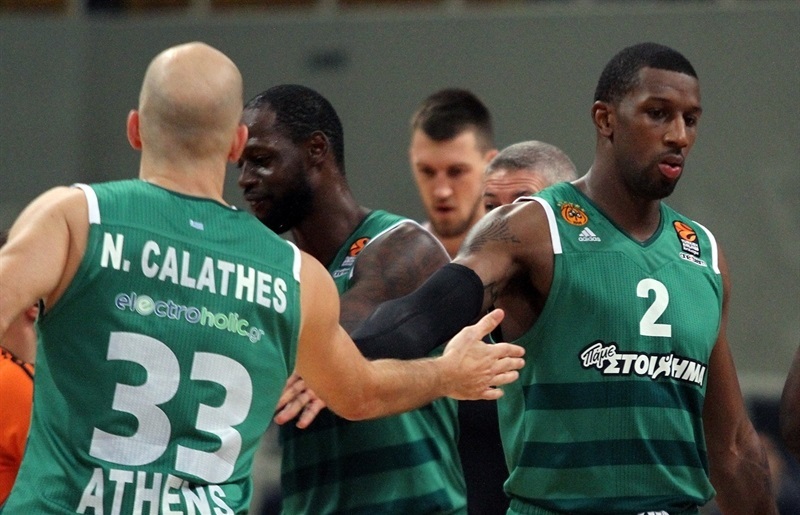 Bourousis added a triple moments later to help Panathinaikos increase its lead to 34-14. Zvezda needed four minutes to score its first point of the second quarter as Rivers drove for a dunk and a 41-18 advantage. Kuzmic collected 13 points and 8 rebounds before halftime, and sparked a 0-7 run that cut into the deficit, but Gist made sure Panathinaikos went into the break up big, 46-25. After the break, Panathinaikos was cruising and the visitors started making plays. 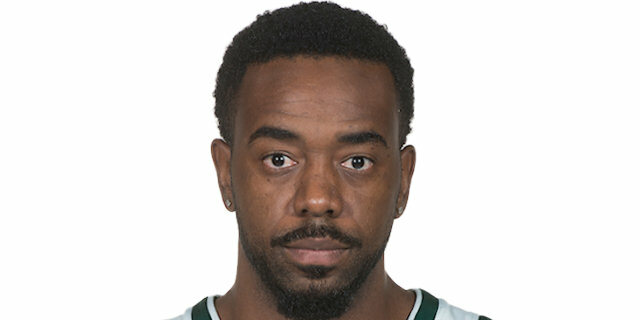 Wolters beat the shot-clock, banking a shot in from way downtown for his first EuroLeague points, before he and Charles Jenkins got Zvezda within 61-47. Back-to-back threes cut it to 63-53 midway through the fourth quarter, but that is as close as the visitors got. "First of all I would like to congratulate our fans and thank them for their welcome. I hope to answer them with good results which will come after a lot of work. We are very happy from this win. We played very well, especially in the first half." "We are very happy for this win. We played excellent for some 30 minutes, but lost control in the last 10 minutes, maybe because of physical problems, or maybe because of mental problems. But we are happy today because it was an important win. I want to thank the fans for the support. We need to go step by step together. We will see what happens in the future. It was great and amazing to coach in this arena. I am happy to be here." "We played very bad from the start of the game, defensively and offensively. We allowed easy points for them, and a couple turnovers. That’s how the game was during the entire first half. After that, the second half, we played much better in defense, a little bit better on offense, but that was all from us in this game tonight. Nate Wolters played tonight after only two practices; we will see, but we want to be competitive with all teams in the EuroLeague. Two days ago we played bad with a lot of energy against Barcelona, but we were little bit without focus tonight in the first half." "Great game offensively and defensively for us for three quarters. Fourth quarter we kind of got little stagnant and little lackadaisical on defense. But, overall it was a big win for us to continue our method of winning and our approach we have taken these last few games. 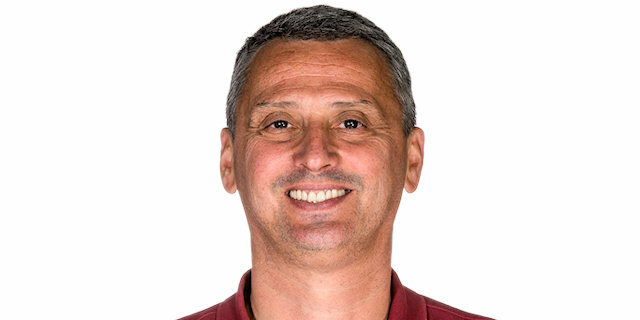 Now we have to have short-term memory again, and prepare for another week that is going to be tough for us in Istanbul. It is very important we learn from what we did in this game, the good and the bad, and prepare for a better game in Istanbul." "Defense was the key in this game, I think our defensive ability to switch, make them take difficult shots. I think that really helped us, especially in the first half. Second half we got complaisant a little bit. Overall it’s a good win for us, because they are a good team, but we took it a little too easy in the second half, which we cannot do if we want to be a big team. We have to finish the games strong, but we will learn from that. I am confident. My teammates are making shots for me, and my confidence is very high. I just got to keep doing that, and keep making it easy for everybody."